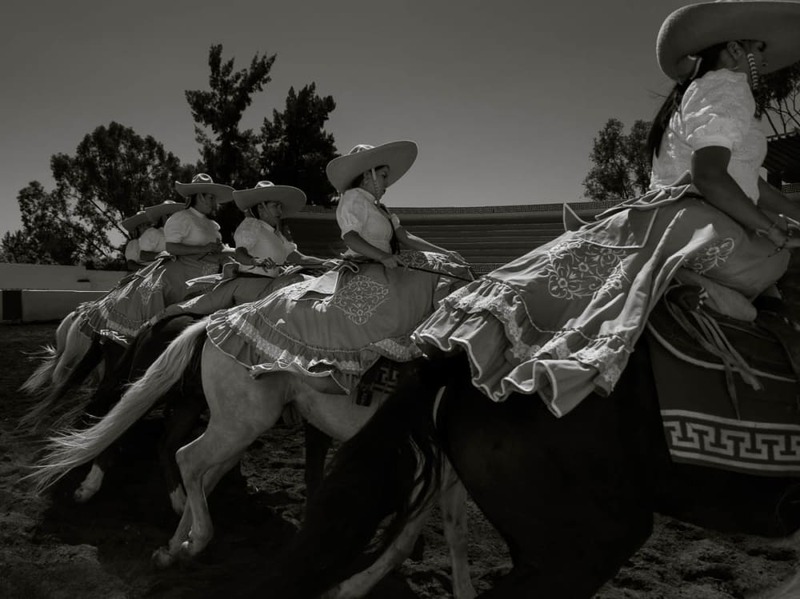 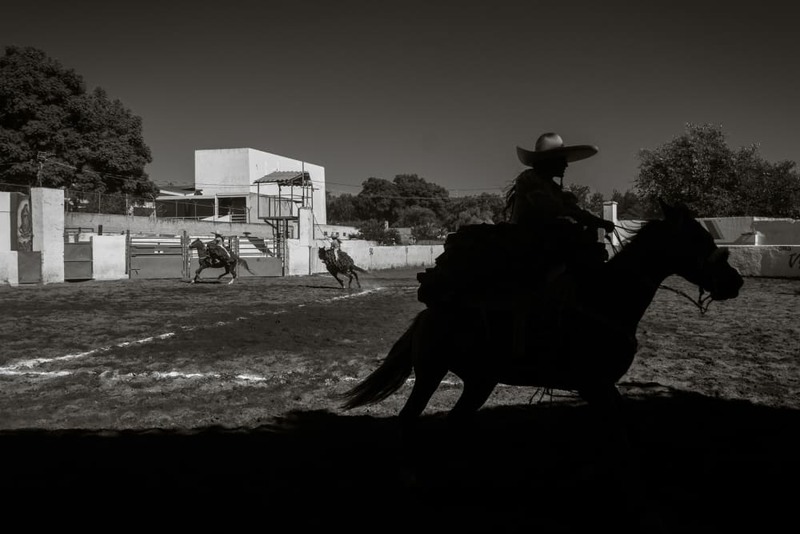 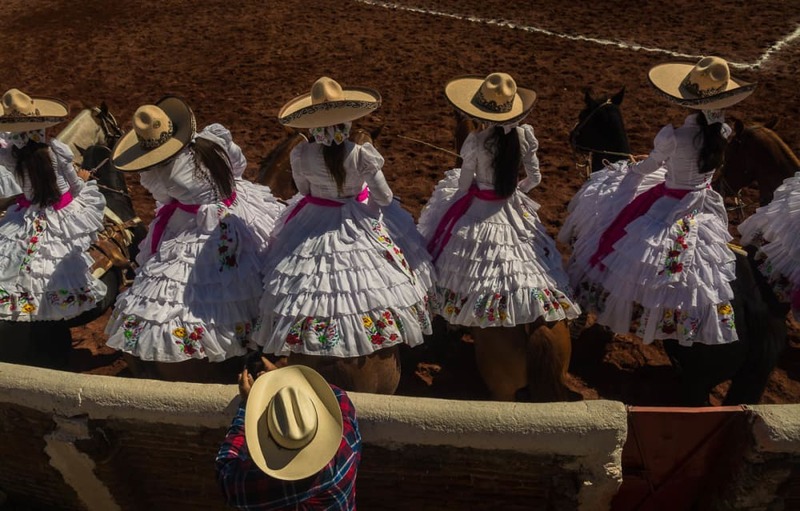 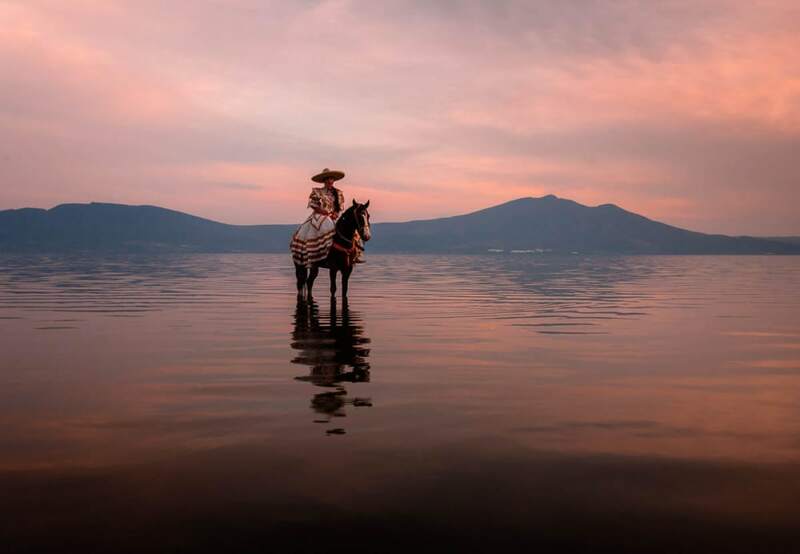 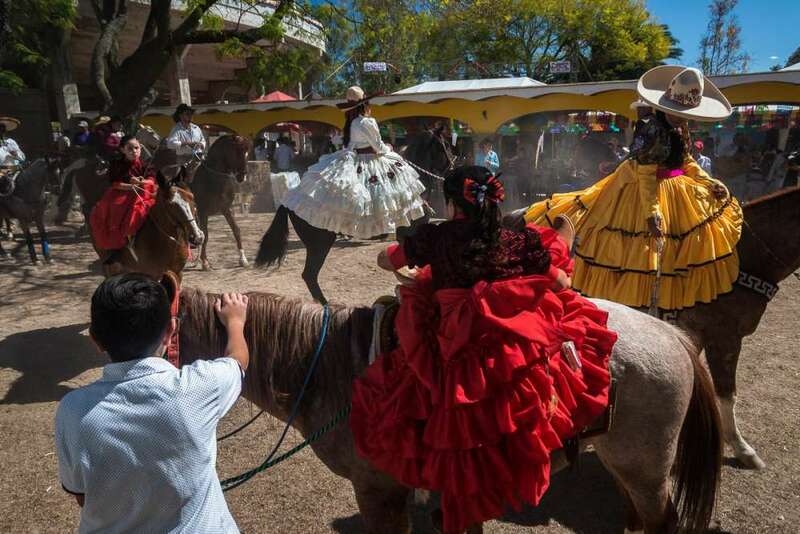 An escaramuza on the Day of the Cowboy in Ajijic, Jalisco, Mexico. 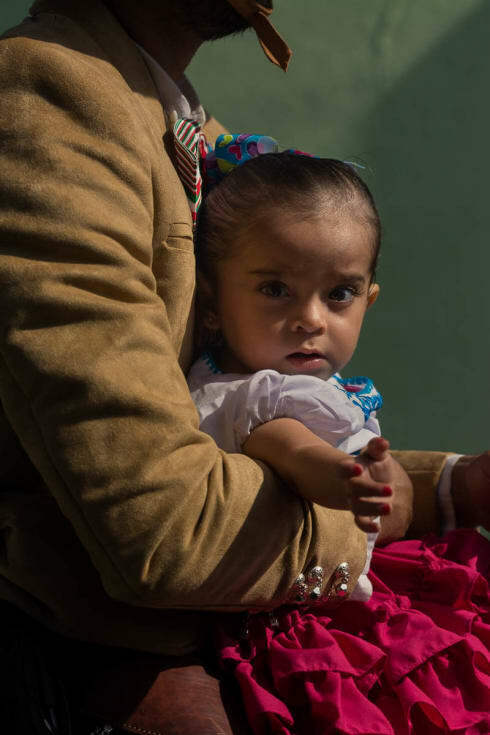 A little girl is cradled tightly in her father’s arms as they ride on a horse during the Independence Day parade in Ajijic. 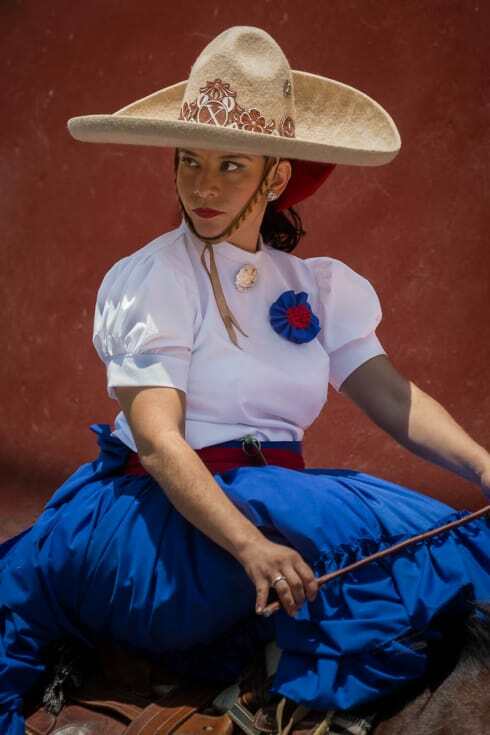 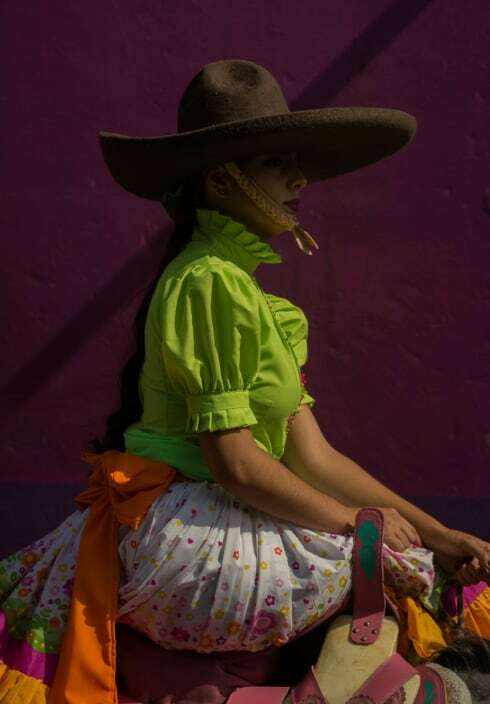 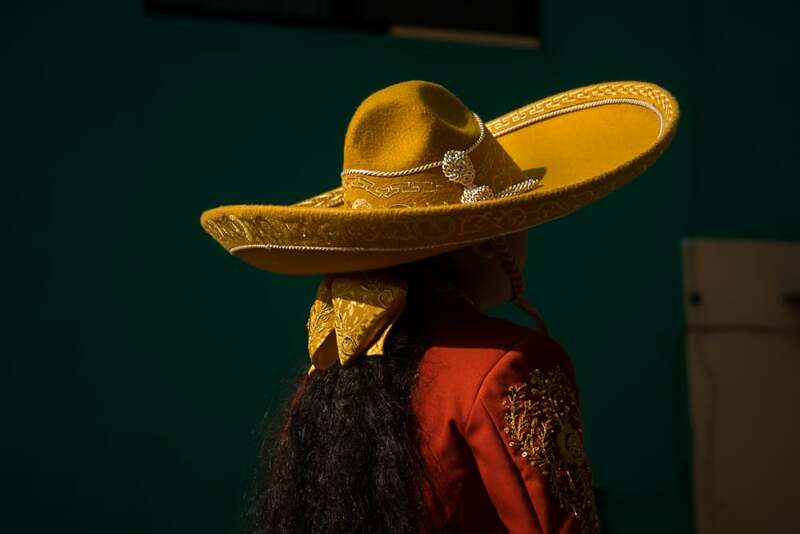 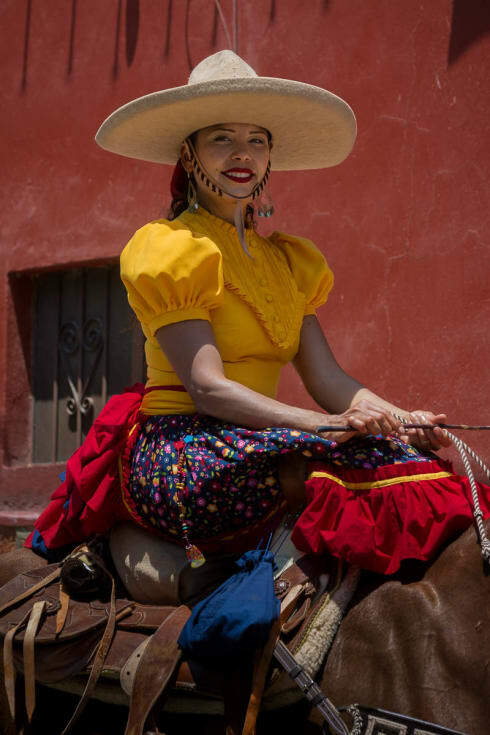 The queen of the 2016 Association of Charros Ajijic, Gaby Gucho, during the Día de la Independencia parade in Ajijic, Jalisco, Mexico. 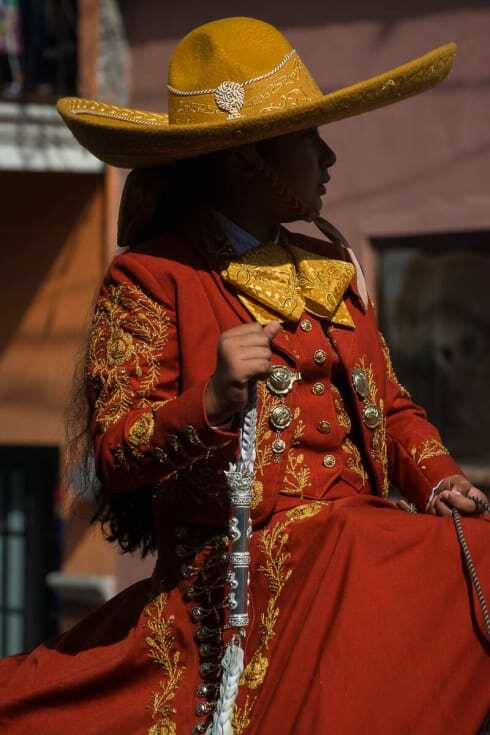 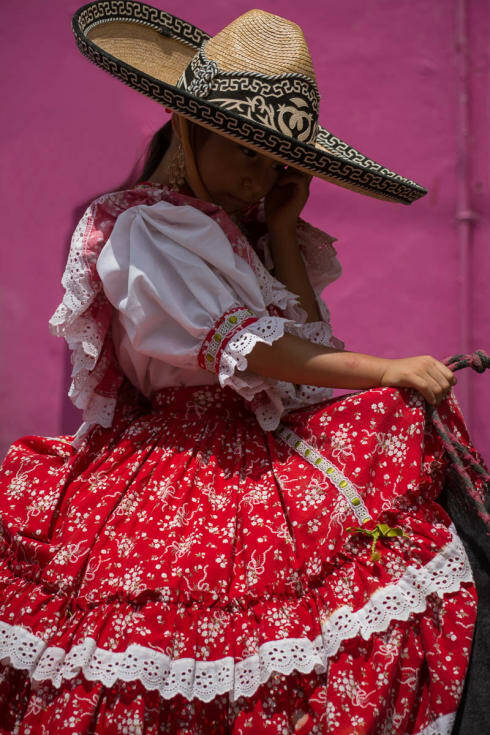 An escaramuza during the 2016 Independence Day parade in Ajijic, Mexico.